Bring your car to Doc Motor Works Auto Repair 18600 S. State Route 59, Shorewood, Illinois 60404 for diagnosis and we can figure out why it’s not starting! 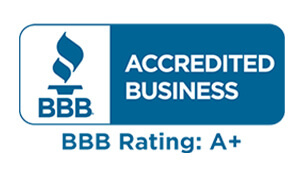 Doc Motor Works has been providing quality auto repair and service for many years. We were established to provide honest, dependable auto service and repair at a fair price. We continue to make the investment in training and equipment to stay ahead of the rapidly changing industry. 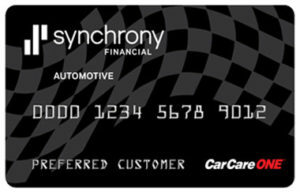 When it comes to car repair, we know the importance of fast, quality, well-priced auto repairs. 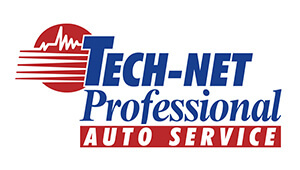 We strive to offer you the best possible service when you come see us. Take out your jumper cables. It’s a good idea to buy a set of jumper cables and keep them in the trunk compartment. If you don’t have jumper cables, you’ll have to find a Good Samaritan who not only is willing to assist you but has jumper cables as well. Place both cars in Park or Neutral, with their ignitions shut off and their emergency brakes on. 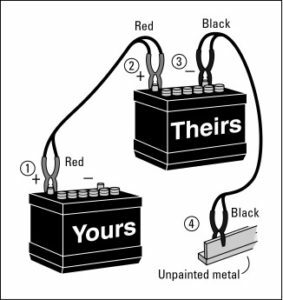 First, attach one of the red clips to the positive terminal of your battery (it has “POS” or “+” on it. Attach the other red clip to the positive terminal of the Good Samaritan’s car. Attach one of the black clips to the negative terminal on the Good Samaritan’s battery. Attach the last black clip to an unpainted metal surface on your car that isn’t near the carburetor (if your car has one) or battery. Figure 1 shows how both the positive and negative cables should be connected. Try to start your vehicle (Do not have the Good Samaritan’s car running. 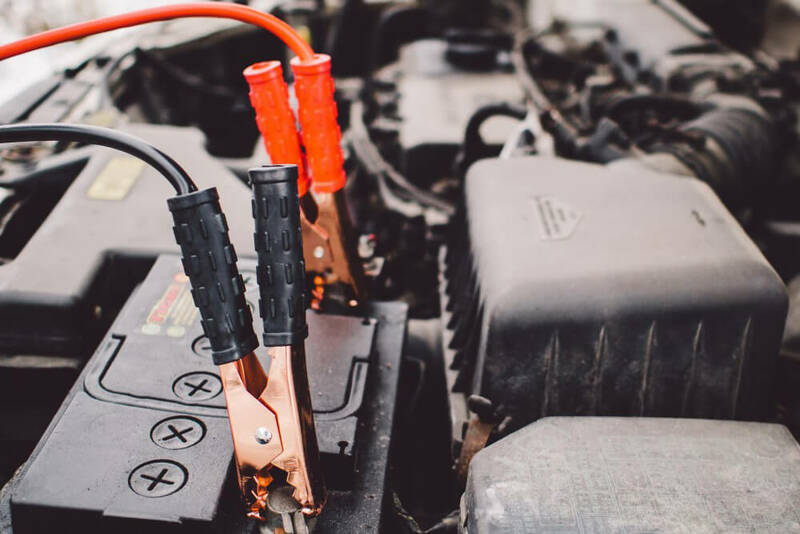 If your car has electrical issues it could damage their car as well). If it won’t start, make sure that the cables are properly connected. Then try to start your car again. If it still won’t start, your battery may be beyond help. Disconnect the cables, thank the Good Samaritan, and resume your life. Don’t shut off your engine; drive around for a while to recharge your battery.